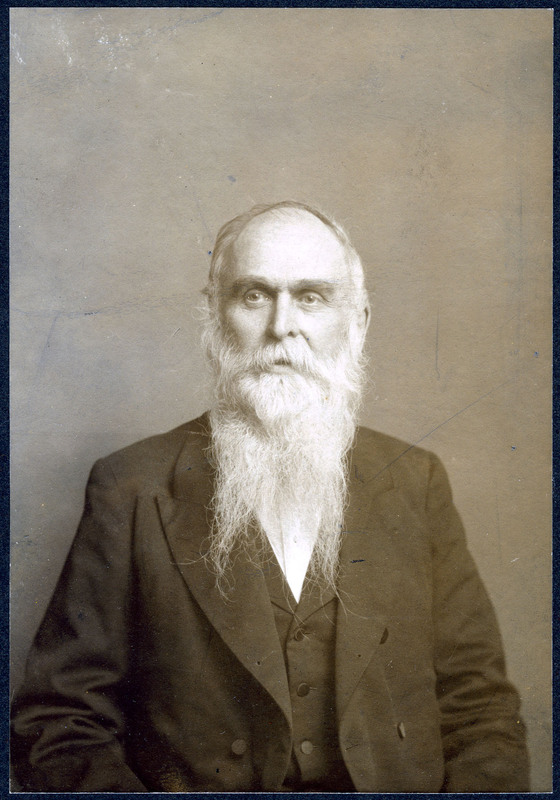 Benjamin Smith Lyman was born December 11, 1835, to Hampshire County Register of Probate Samuel Fowler Lyman and his first wife Almira Smith Lyman in Northampton, where he remained until attending Phillips Exeter Academy from August 20, 1851, to July 8, 1852. From Exeter, he went on to Harvard College, graduating in 1855. He then taught school at Deerfield Academy in Deerfield, Massachusetts, at Charles Short’s Classical School for Boys in Philadelphia, Pennsylvania, and at Franklin B. Sanborn’s school in Concord, Massachusetts, where he came to know, through Sanborn, members of the Emerson and Alcott families and Henry David Thoreau, as well as abolitionists active in the region. In the same exploratory period he was given his first geological job — chain carrying and rainy day office work for his uncle by marriage, J. Peter Lesley, already a noted geologist, on a topographical and geological survey of Broad Top Mountain in Pennsylvania. According to an 1872 Lyman family genealogy, Lyman’s own Uncle Joseph, Lesley’s brother-in-law, originally intending a career in law, later studied civil engineering, mining, and metallurgy, and was active in the development of anthracite coal and iron resources in Pennsylvania. His activities and connections may have been an influence on Lyman in his ultimate choice of career, as well as in his sympathies for social reform. Although Benjamin had first intended to become a merchant, his interest in geology and mining engineering grew in the next few years, during which he made a survey of iron foundries in some of the eastern, middle, and southern states for the American Iron Association, accompanied Lesley on additional surveys, and became assistant geologist of the Iowa State Geological Survey. The opportunity to return to Japan came to Lyman shortly thereafter. In the hope of making a name for himself in geology, he signed a three-year contract with the Meiji government in 1872 to survey Hokkaido for mining possibilities. Lyman carried out his mission in Japan with passion. It was to be the most productive period of his life. His survey identified the most promising coal fields for Hokkaido’s eventually successful mining industry as well as reporting on progress in the reclamation of waste land, the nature of the soil in various districts; the customs, physique, and folklore of the Ainu; useful ores and stones; the development and exploitation of hydraulic power; importation of foreign capital; and the advantage of cooperation with foreign concerns in the mining industry. Lyman’s Japanese assistants, to whom he taught surveying, mapping, mathematics, mineralogy, and related subjects, accompanied him on the difficult ground-breaking survey. They all became proficient surveyors and some of them distinguished geologists. Their enthusiasm and support was largely responsible for making Lyman’s experience in Japan as rewarding to him as it was, for he did not have good relations with the Kaitakushi (the Bureau of Development for Hokkaido), owing in part to conflict as to who had authority over his assistants and to a discrepancy between his values and those of the Kaitakushi’s administrators. Following completion of the Hokkaido survey and the final report and maps associated with it, Lyman was employed by the Interior Department of Japan and later by the Public Works Department, Bureau of Engineering, to survey oil fields in the rest of the country. When his contract was up in 1879, Lyman remained in Japan at his own expense to complete the survey maps. Before leaving, he encouraged his assistants to form the Geological Society of Japan and to publish a journal. He gave them his house and grounds for headquarters, which they later sold with his permission when the group disbanded (to be succeeded later by the present society). Lyman maintained contact with his assistants for the rest of his life. Returning to the United States in January 1881, Lyman took up residence in Northampton, Massachusetts, where he continued work on his reports, publishing them at his own expense. Having saved much of his considerable salary in Japan, Lyman did not need to earn money for the time being. Soon thereafter, he bought the house at 134 Elm Street built in 1880 by W.T. Clement, founder of the Clement Cutlery Company, who died in 1882. Lyman participated in civic affairs as a member of the City Improvement Association and the Community Council. In 1882, Tokumatsu Nakajima, the 10-year old son of his Japanese stableman, came to live with him and be educated in the United States. The boy attended public schools in Northampton and was loved by Lyman’s family and friends, such as Mrs. Brewer and Mrs. Ferry, Lyman’s near neighbors on Elm Street. He moved to Philadelphia with Lyman when the latter accepted the position of Assistant Geologist of Pennsylvania in 1887. Toku graduated from the University of Pennsylvania, returned to Northampton to work at a Banister’s bookstore, and died of tuberculosis in 1901 at age 29. In the years following his return to Philadelphia, Lyman wrote a great many papers and articles, attended meetings of technical and scientific societies as well as the Oriental Club of Philadelphia, and held a reception each year on the birthday of the Emperor of Japan. After retiring in 1895 from his appointed position, Lyman continued a private practice, finding little remunerative work, however, due to the business depression of the 1890s. In 1906-1907 he surveyed the coal lands near Mt. Lantauan on the island of Cebu in the Philippines, for a New York company building a railroad there. On the way, he visited his former assistants in Japan, who greeted him warmly. He hoped to re-visit them on his return trip, but a long bout with dysentery prevented that. Lyman was convinced that if he hadn’t become a vegetarian in 1864, he would have died young from food eaten on his travels. At 81, in 1917 he published a scholarly cookbook of vegetarian recipes. Lyman died August 30, 1920, aged 84, in Cheltenham, Pennsylvania. Born in the same year as Mark Twain, Lyman outlived him by ten years. His circumstances and career provide a useful perspective upon major developments in New England, United States, and, indeed, world history during a period of immense changes. Lyman was a member of a prominent Hampshire County family with origins in the earliest European settlements of Massachusetts Bay and the Connecticut Valley. His grandfather was Sheriff of “Old Hampshire” County and, after 1811, of the new; his father was County Register of Probate and later Probate Judge. Thus a scion of a local elite, attending Exeter and Harvard, in communication with Transcendentalism and Abolitionism through Franklin B. Sanborn, he was also an early exemplar of the American exodus to Europe for advanced scientific training. And as a participant in the process of resource exploration through the application of geological science, he participated in the development of industrialization both at home and, perhaps most importantly, in Japan. These historical movements are documented in valuable ways by the collection described here. The Benjamin Smith Lyman collection at the University of Massachusetts Amherst comprises books, maps, and papers, illuminating aspects of late-nineteenth-century Japan, New England, and Pennsylvania, as well as the field of geology and of mining exploration and engineering as they were practiced 1858-1911. The Japanese and Chinese language books, now in Special Collections and University Archives at the W.E.B. Du Bois Library, were for the most part purchased by Lyman while he was in Japan; others he collected later and received as gifts. They represent over 300 titles, many of them in scores of volumes each, and reflect Lyman’s catholic interests and scholarly bent. Essentially, the books fall into three categories: Japanese classics printed in the Edo period, 1600-1868; books on the Japanese language published in the nineteenth century; and books on nearly every aspect of Japanese life in the Meiji era, including medicine, religion, and popular culture. Among these volumes are some which are rare today, even in Japan. While most of the books were published between 1800 and 1880, there are several early ones: Kitamura Kigin, Kogetsusho (Commentaries on The Lady Murasaki’s Tale of Genji), 1675; Yoshida Kenko, Tsurezuregusa Sho (the fourteenth-century Essays in Idleness, said by Donald Keene “Surely [to] be included in any list of the ten most important works of Japanese literature”), 1691; and Okanishi Ichu, Tsurezuregusa Jikige (Commentaries on Essays in Idleness), 1686, for example. Among the most popular publications are a complete set of the first edition of Takizawa Bakin’s Nanso Satomi Hakkenden (the fictional/mythological story of the Satomi family), 1814-1842, and Suzuki Bokushi, Hokuetsu Seppu (Snow in Echigo — a literary miscellany), 1836-1843. An additional strength of the collection is in natural science. Titles from the Edo period include: Ito Ihe’s Jikinsho (a dictionary of flowering plants), 1707-1733; Shimazu Shigehide’s Seikei Zusetsu (an encyclopedia of agriculture), 1804; and Okura Nagatsune’s Nokaeki (a handbook on haze [wax trees]), 1802-1854. The collection includes some books on Asia in Western languages as well. Among the rarer items is the London 1728 edition of the History of Japan by Engelbert Kaempfer (1651-1716), indefatigable traveler in the Middle East and Central, Southeast, and East Asia, and among the earliest Westerners to become truly expert on Japan. The History in English, first published in the previous year by Sir Hans Sloane, was the earliest publication of Kaempfer’s manuscripts on Japan. Only in 1777-1779 was another of his manuscripts, left in his home in Lemgo, published in the original language. This work, Geschichte und Beschreibung von Japan, in two volumes, is also included in the Lyman Collection, as are the nine volume Histoire et description generale du Japon (1736) of Pierre de Charlevoix (1682-1761); the Yu yen tzu erh chi: A Progressive Course Designed to Assist the Student of Colloquial Chinese as Spoken in the Capital and the Metropolitan Department (1st ed., 1867) by T.F. Wade; and A Dictionary of Colloquial Idioms in the Mandarin Dialect (1873) by Herbert A. Giles. The 121 published Japanese maps 1834-1896, housed with the books, are fine and unusual examples of cartography. Some depict the local, provincial, or national topography of Japan; others are devoted to geology The most important of these are printed in color from wood blocks (relief printing). There are, in addition, a few maps of Korea and China as well as some Western ones, including the intaglio printed Topographische Karte der Schweiz by C.H. Dufour, 1855, and maps accompanying the Third Annual Report of the State Board of Health, Lunacy, and Charity of Massachusetts, 1882. From Lyman’s earliest financial records,kept as a student at Phillips Exeter, through the journal notations of his later days in Philadelphia, Lyman’s meticulous record keeping provides much detail about his life and work. In letters to family, friends, and business associates, Lyman described his social and professional activities, particularly in letters to Franklin B. Sanborn, his classmate, a friend of the Concord Transcendentalists, and an active abolitionist. Lyman also made observations about his surroundings in the course of worldwide travel, as well as over extended periods of residence in Philadelphia, Northampton, and especially Japan, which is also well documented in the photographs he took and acquired. The field notes and journals from which Lyman prepared reports for his geological surveys are included, as well as maps he prepared, most notably some of Hokkaido. The papers, 1848-1911, have been organized into nine series, including Correspondence, Financial Records, Writings, Survey Notebooks, Survey Maps, Photographs, Student Notes and Notebooks, Collections, and Miscellaneous. Cite as: Benjamin Smith Lyman Papers (MS 190). Special Collections and University Archives, University W.E.B. Du Bois Library, University of Massachusetts Amherst. Acquired from the Forbes Library. The Lyman Papers were originally part of a collection donated to the Forbes Library in Northampton by Benjamin’s cousin Frank Lyman in 1921. Weighing 8 tons, the collection included 4,105 books, over 1,800 in Japanese. It is chiefly these Japanese books, with the addition of others in Chinese and in Western languages pertaining to Asia, that were transferred to UMass Amherst along with the late Edo- and Meiji-era Japanese maps acquired by Lyman and a substantial collection of his papers. Other significant collections of Benjamin Smith Lyman materials can be found at the American Philosophical Society, the Historical Society of Pennsylvania, Hokkaido University, and in the Horace Capron papers at Yale University. The non-Japanese/Chinese volumes of Lyman’s library, representing various languages and many fields of inquiry, remain at the Forbes Library. Lyman’s letters, both business and personal, are found in the collection in three forms: in drafts; in originals of letters he wrote, mainly to his Lesley aunt and uncle, who bound them; and, mostly, in 30 volumes of letterpress copybooks (about one third of which are badly faded). Lyman wrote chiefly to family members, business associates, and his friend Franklin B. Sanborn of Concord. Sanborn and he, who were classmates at Phillips Exeter and Harvard, reported in detail to each other about their social, professional, and civic lives. Sanborn’s letters to Lyman, housed in The Historical Society of Pennsylvania, have been published as Young Reporter of Concord, edited by Kenneth Walter Cameron, Hartford: Transcendental Books, 1978. Lyman’s letters are filled with his meticulous observations. This was not only characteristic of nineteenth century Westerners with Lyman’s education and social status, but it was also particularly congruent with his personality. Especially when Lyman was traveling, he conveyed with a great deal of freshness his experiences in varied locales around the world. We learn, for example, what it was like to travel beside the driver of a stagecoach through the Nevada Territory, to live in a remote village in Cape Breton, to socialize as a bachelor in Philadelphia during the Civil War, to carouse in taverns as a student in Germany, to establish living arrangements upon first arriving in Japan, or to observe the Empress on a visit to a school in Yedo. Occasionally he comments upon historic moments: the assassination of Abraham Lincoln, the abolitionist activities of John Brown and Wendell Phillips, the publications of the Transcendentalists and their friends. Spanning the period of Lyman’s active professional career, his letters reveal a great deal about the formal and practical education and practices of a geologist in the late nineteenth century, beginning with his early forays into the field as an assistant to J. Peter Lesley; his growing commitment to geology and mining engineering as a career; his education in Paris and Freiberg, his work on various surveys in the United States, Canada, India, and their related travels; his seven years in Japan as Chief Geologist and Mining Engineer for various agencies of the Meiji Government, and his continuing work as a geologist, especially in Pennsylvania after his return from Japan. Some of the reports he wrote for those on whose behalf he was making the surveys are included in the correspondence copybooks, along with the consultation letters. A small portion of the correspondence series consists of letters from Lyman and Northampton friends to Toku Nakajima, who lived with Lyman in Northampton and Philadelphia from the age of 10, following Lyman’s return from Japan. Lyman kept financial records as early as his school days at Phillips Exeter Academy, where he documented his daily and educational expenses. The collection includes his accounts for 1851-61, 1872 (including an inventory of his goods and chattels), 1873-1880 (the years in Japan), 1885-1887, and 1911. Some of the account books from the period when Lyman was in Japan were kept by Kotaro, his cook. There are two categories comparable to journals and ledgers: the Nikki, or daily records, and the Sencho, records by category, such as foodstuffs, education, laundry, domestic wages, accommodation and travel expenses, fuel, postage, and repairs. In a ledger for 1874, Lyman listed the stock on hand for the Geological Survey of Hokkaido. In addition to keeping journals and ledgers, Lyman retained receipts and statements, not only because it was customary, but also because he was often accountable to supporters and had to secure reimbursements for living and travel expenses incurred on surveys. It was also consistent with the thoroughness for which he was known. The receipts, which he bound, are from France, Germany, Switzerland, the Punjab, various U.S. Iocations, and Japan. They are for such items as books, clothing, instruments, freight costs, subscriptions, furniture, and hotel rooms. Only a few of the 150 books and papers Lyman wrote are represented in the collection. (Many of Lyman’s articles appeared in the Transactions of the American Institute of Mining Engineers and in the Proceedings of the American Philosophical Society and of the American Association for the Advancement of Science.) Of most significance are the printed Japanese language versions of some of his survey reports on Hokkaido and the manuscript versions, in varied hands in two letterpress copy books, of some of the survey reports on Japan, 1877-79. Additional manuscript material includes a draft of Lyman’s article on Japanese grammar; translations of Chinese proverbs; and a brief article, “The Petroleum Industries of Japan” (authorship uncertain). Also included is a printed version of “Bending Marble,” 1868, from the American Journal of Mining. Vegetarian recipes, some of which may have been included in Lyman’s scholarly cookbook, Vegetarian Diet and Dishes, 1917, can be found in Series 9, Miscellaneous. Lyman’s survey notebooks are of two kinds: those comprising field notes made on-site, and those reporting his activities related to the surveys. Sometimes the latter become diary-like and, in fact, report on more than what is strictly associated with the surveys, making the notebooks a particularly informative segment of the collection for details about Lyman’s life and business. The field notes employ a sketching system devised by Lyman and J. Peter Lesley for conveying the location of minerals by lines charting land surface characteristics and subsurface strata. While this system was not widely adopted in the West because it was time-consuming to use, Lyman taught it to his Japanese assistants, who spread its use widely in Japan. The notebooks document surveys beginning soon after Lyman’s return from his training in France and Germany; thus they trace his professional career from its formal inception through his most active surveying years. There are 120 notebooks for Lyman’s surveys in Cape Breton, Pennsylvania, Illinois, Alabama, the Punjab, Maryland, and elsewhere, as well as a run of 125 rice-paper volumes for Lyman’s years in Japan. The survey maps are those produced in connection with surveys in which Lyman participated. They include important ones for Hokkaido and the rest of Japan, as well as the Punjab, Cape Breton, and various U.S. locations, especially Pennsylvania. Additional survey maps not listed here can be found in map case in 2602; see also Special Collections Dept. for published maps Lyman collected. Lyman’s photos of Japan, particularly the evocative studies of people, open a window on Japan in the 1870s, letting us see in with startling clarity. Many of the 200 photographs in the collection were almost certainly taken by Lyman: he speaks in letters of 1865 to his friend F.B. Sanborn and his mother about learning to take photos, to develop and print them; many photos in the collection were found in a photographer’s blotter book when they were received at the University of Massachusetts; an envelope from a photo supplier addressed to Lyman is among the papers; and some of the photos of Japan parallel the sorts of observations made in Lyman’s correspondence. Photos probably taken by Lyman include pictures of his garden at Yedo; portraits of individual Japanese women; studies of groups of Japanese people, often by occupation; snapshots of hot springs, mining sites, and other landscapes; and some of the Ainu pictures. Some engaging photos of Lyman and his assistants and associates were taken by others. Additional photos of Japan in the collection were probably commercially prepared for travelers, particularly the Yedo series. Lyman’s hand can be seen again in documentary photos of Philadelphia locations. A few snapshots of Massachusetts (Falmouth and Northampton) are included, along with some photos of Manila in the Philippines and one each from India, Freiberg, and the Paris Exposition Universelle of 1878. Lyman’s student notes and note books (1843-1863, 1870s), include a journal for January to June, 1851, and a number of early themes, 1848-55, depicting, among other things, real and imaginary trips made by Lyman, which foreshadow his later life and concrete and particular writing style while they detail aspects of his youth. There are, as well, many notebooks from Lyman’s student days in Paris and Freiberg, making clear the nature of some of his training there. Finally, materials pertaining to Lyman’s studies of the Japanese, Spanish, French, and German languages are included. They hint at the breadth of his learning and interests. Lyman’s library included books in these languages as well as in Chinese, Persian, Sanskrit, Bengali, Hindustani, and Shan–all of which he had studied. In the course of his work and travel, Lyman accumulated collections, most significantly his books, discussed above. A related collection is the 250 wrappers Lyman saved from Japanese books and maps, one quarter of which are in the Lyman collection at the University of Massachusetts. Many of the wrappers, comparable to dust jackets, are extremely colorful and decorative. The oldest is for Taketori Monogataritshe, 1784. In addition, he saved manufacturers’ and dealers’ catalogs of the 1880s and 1890s for the tools of the trades of geology and mining engineering. They include everything from tracing paper and tape measures to explosives, drills, and locomotives for mines. Together, they portray a slice of time in the history of technology. Additional collections include Lyman’s visitors’ and associates’ calling cards, which he mounted in a scrapbook, along with various small notices and broadsides; Japanese souvenir viewbooks; newspaper clippings 1860-65, (1887-95), pertaining mostly to Japan, China, Europe, the Johnstown flood, and U.S. learned societies; pencil drawings by Lyman’s brother, J.F. Lyman, of European locations; graphic materials of a popular nature collected mostly in Japan; and some postcards. Of most significance among the miscellaneous materials are the contracts Lyman signed in 1869 and 1872 for his work as geologist and mining engineer in the Punjab region of India and in Hokkaido, Japan. Additional materials could be considered a scientist’s mementos of Japan: an atlas of taxes, population, and cultivated land; a compilation of meteorological averages for 1873-75; or government regulations on weights and measures. There are, as well, ordinary tourist items, such as a boat schedule, brochures from shrines and hot springs, and an auction catalog. A small batch of Toku Nakajima’s belongings are also found in this series: Greek and French lesson notebooks, a list of Christmas gifts for 1892, and a notebook of handwriting exercises. Letterpress copybooks, 4 vol., 1 f. loose pp. Letterpress copybooks, 1 vol., 1 f. loose pp. Letterpress copybooks and letter drafts, 2 vol., 2 f.
American Mining and Metal Extraction Co.
Panama Canal: Board of Consulting Engineers, Lock Canal Project. Profile of Proposed Lock Canal with Summit Elevation at 85 feet. Plates VIII, IX, and X. Student notebooks of language study dictations, etc.